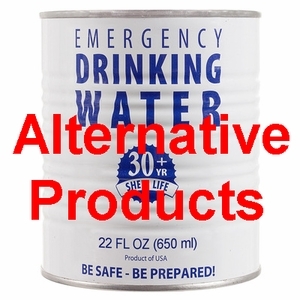 Many customers stated that they were unable to get canned Water from Worldgrocer for months and most online sources show the product as either sold out or unavailable. 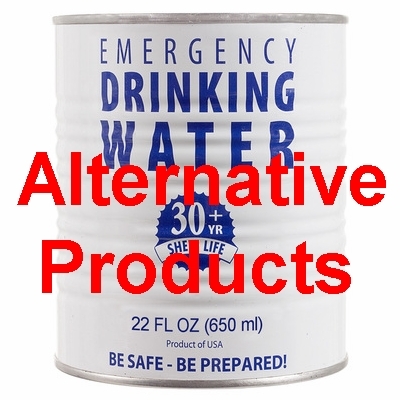 But there are great alternative products to their vacuum sealed cans or water and we carry them, so you can be prepared now. All of the Canned Water products are made in the USA at fully certified facilities that meet all requirements for safe food processing. Unlike the canned water from Worldgrocer, the products we carry however are not vacuum sealed, but slightly pressurized with Nitrogen which not only helps stabilizing the cans, but also eliminates air and bacteria from the can. Combined with the multi stage water filtration process that involves reverse osmosis, UV light treatment, Ozone flush and several carbon filtration steps, the water is of pure nature and does not contain bacteria or CFU's (Colony Forming Units) that could cause the water to spoil over long periods of storage. We are therefore able to offer canned water with a shelf life of 30 to 50 years or possibly even longer if stored properly. Our Canned Water is available in convenient 12 ounce soda style aluminum cans which are great for rationing and distribution to individuals, and in larger 42 ounce cans that are a preferred water container for mass feeding operations and institutions such as churches, hospital kitchens, or schools for example.